Dental crowns are dental appliances that are frequently used in cosmetic dentistry. Getting dental crowns can be a simpler way of dental treatment given that the procedure is not as extensive as other dental treatments. 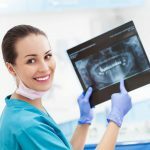 If you aren’t confident whether you need a dental crown downtown Los Angeles, you should get to know some of the benefits it offers. For one, it is a cosmetic tool meaning it can improve the appearance of our teeth. You can get a wide variety of dental crowns at Smile L.A. Downtown Modern Dentistry. They have various dental specialists who can attend to any of your dental issues. Getting a dental crown can help preserve your dental hygiene and also protect your natural tooth. Do you cover a missing tooth or a tooth that is no longer used? If so, then you need to get a dental crown downtown Los Angeles. A dental crown is able to used in dental treatment to restore the functionality of a tooth. If the tooth has extensive decay making it difficult to chew, a dental crown can be placed over the tooth to reduce sensitivity and also make the tooth useful again. During the procedure, the dentist will first remove any plaque and tartar from the tooth. The dentist may perform special cleaning to ensure that all the decay is removed. A dental crown is after that placed over the remaining tooth and stuck onto the gum using dental cement. When getting a dental implant, the dentist recommends getting a dental crown downtown Los Angeles in order to protect the implant during healing. The dentist can either provide a temporary dental crown or a permanent one. For dental implants, you get to choose from a large variety of dental crowns selecting the type you like the most. Visit Smile L.A. Downtown Modern Dentistry today and get top-notch services on dental crowns and implants. In cosmetic dentistry, dental crowns are used in the direction of cover teeth in order to display whiter and better-looking teeth. Dental crowns are mostly used for covering decayed teeth, yellowed teeth, teeth with cracks, chipped or broken teeth. A dental crown offers a simple way of replacing the tooth without having to remove the existing natural tooth. Generally, the dentist cleans the damaged tooth then takes a suitable dental crown and sticks it onto the gum. The dentist may continue to polish and color the crown to match the shade of adjacent teeth. Dental crowns will make your teeth stronger. Since the crown is placed on top of the tooth, it acts as a reinforcement to the tooth’s regular toughness. Dental crowns can protect the teeth from cracking or chipping when exposed to high pressure. The dental crown will also help reduce pain for people with sensitive teeth. The crown reduces the tooth’s sensitivity by interacting with food and beverages before the natural tooth. Visit Smile L.A. Downtown Modern Dentistry and gets some of the best dental crown treatment. Looking for a Quality Dentist in Downtown Los Angeles?